"Call of Duty: Black Ops 3" will finally happen later this year. In line with this, game developer Treyarch revealed additional information of the game for PC version. 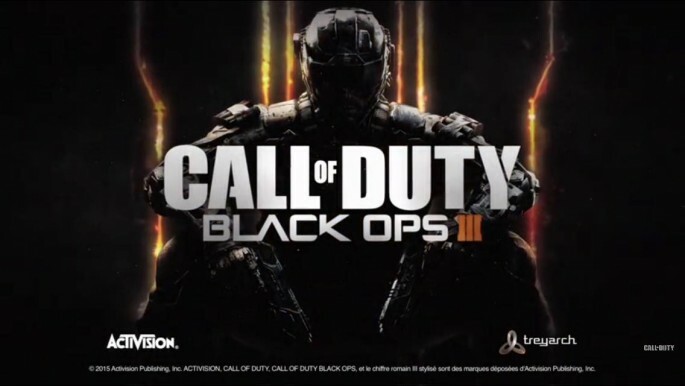 The American-based video game developer spoke on Thursday at Gamescom 2015 and discussed more about what to expect from the "Black Ops 3" PC version. The new "Call of Duty: Black Ops 3" features include 100 percent ranked dedicated servers, split-screen for 2-Players, game controller support, GPU scaling, SLI and crossfire optimizations, and 4K monitor support, FOV slider, framerate cap slider, enhanced text Chat features accessible in-game and now also available in lobbies, steam trading cards, and Treyarch Anti-Cheat (TAC), the official Treyarch site listed. Changes in the "Call of Duty: Black Ops 3" combat play are also put in place like the prohibition of certain weapons and objects before the beginning of the match. Further, a new specialist draft for arenas and tournaments are also added in the game. In this new draft structure, players can select any specialist despite of duplicates in the opponent's team. A "Call of Duty: Black Ops 3" player can have two Seraphs only if they are drafted differently, one with "the Annihilator pistol" and the second one "with her Combat Focus ability," according to IGN. All of the needed requirements for PC systems have been revealed and the minimum requirements to play "Call of Duty: Black Ops 3" was announced by Treyarch in April. The new "Call of Duty: Black Ops 3" game will be released worldwide on Nov. 6 and will be available on Xbox 360, Xbox One, PlayStations 3 and 4, and PC. NBA Trade Rumors: Channing Frye Returns To Phoenix in Exchange for Disgruntled Markieff Morris?